The first rally of the year is one we always look forward to, the South Essex ARS Canvey Rally, and this year’s was no exception. 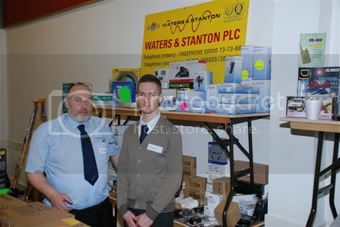 Held this past Sunday 6th February it was well attended and W&S staff Simon & James were certainly kept busy. Below are a couple of pictures (Simon on the left, James on the right). Next up for us is the Rainham Rally in Kent, held on Sunday 27th February at the Rainham Girls School. To keep track of which events W&S will be at this year view our events page here. You are currently browsing the Waters & Stanton Blog blog archives for February, 2011.